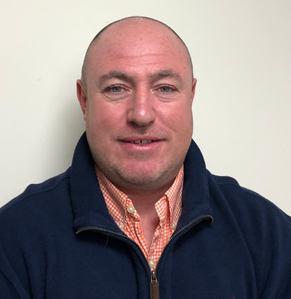 Richard is the Director; his passion is sales and business development at Freight 44. Specialising in all areas, he is versatile to every role, validating how crucial he is to the business. 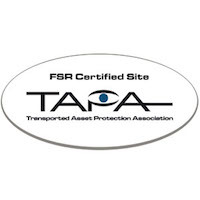 He focuses on articulating a close bond with his customers and ensuring every job is executed with a high standard. As our Company Secretary and project manager, Natasha is the backbone of the business. She specialises in analysing the business's performance and delegating. Often training individuals in areas we could improve; mediating with close customers is an asset of hers, and continuously maintaining a positive vibe within the team. Natasha is also the Responsible person for GDP. Continuously working on her own personal development to pass the knowledge onto the team. 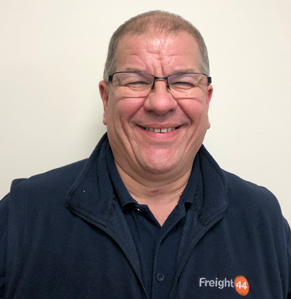 Steve began working for Freight 44 in 2015, as our Transport Manager. Steve is a vital part of the company, evaluating what is in our vehicle operators’ best interests and is productive in making sure all our company vehicles are checked and safe all round. 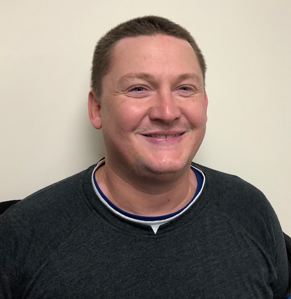 He has extensive knowledge within the business, from the many years both spent with us and in previous logistic companies concludes he is strikingly efficient within his role. Eniko was welcomed to the operations team in 2015. 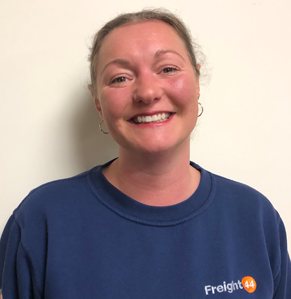 Her desire to succeed within Freight 44 formulates significant progress for the business and herself; quickly becoming a key player in operations and sales. 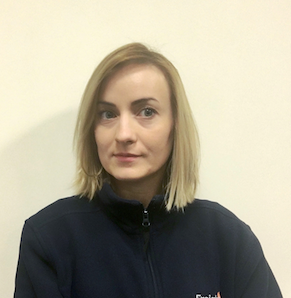 Eniko is a certified transport manager, has a degree in logistics, and is fluent in both English and Hungarian. 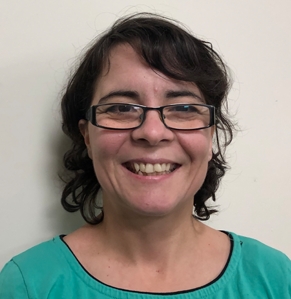 She also strives to continue learning other languages in order to connect with a wider range of customers. Known to our team as Danny and Diana; the couple collaborate with our operative planning, traffic controlling and forwarding obligations. Based in Romania, they specialise in trade with express vans, specifically panel vans and the administrating part of Freight 44, besides between the two of them being able to communicate in English, German, Romanian, Italian, Spanish and little French. Danny and Diana are always available in the Romanian office, to work alongside all the team here in England contributing their intelligence and positive energy. 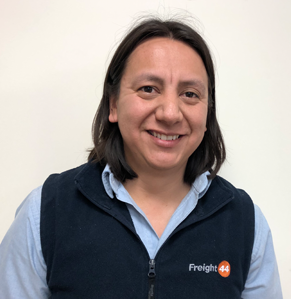 Since 2014 Freight 44 has been fortunate to have Jorge’s multilingual talent and intelligence within the sector. 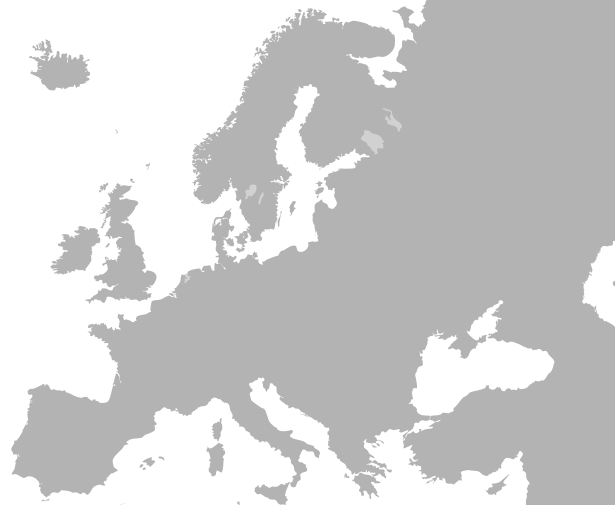 Reciting English, Polish, Spanish and Portuguese he communicates with many customers out of the UK. Jorge is a transport planner within our team and has countless knowledge of vans, customs services and temperature control cargo. 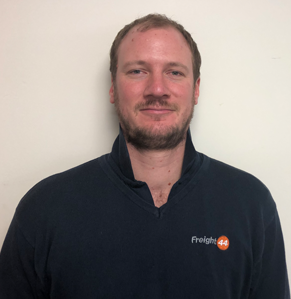 After many years spent as a Freight 44 vehicle operator, in 2017 Patrick became part of the operations team with the intention of gaining insight into another role within the business. His dedication soon saw him become one of our transport planners; his innovation brings many achievements to our business, one being and advocate for GDP. French is a language Patrick is eager to learn, using it whenever he can during conversation. 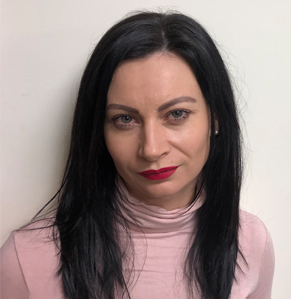 Based in Bulgaria, Galina covers the evening times at Freight 44 as a Freight forwarder; she works from 3pm and her hard work makes a momentous impact to the business, assisting to reach team goals. She can speak Russian, English and some German. 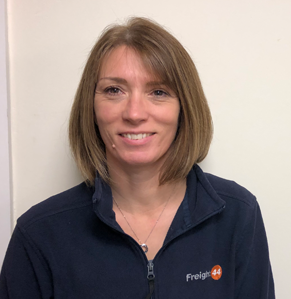 Galina monitors and updates our spreadsheets spectating how the drivers are doing and where they are at, in addition to quoting customers and being available for any queries. Georgia loves a challenge, adding value behind the scenes within our organisation. Collating delivery paperwork and generating invoices for our customers. She has a good knowledge of Microsoft office and the Manpack traffic system we use, granting us with the resources we require in order to keep track of our teams’ obligations. Georgia also assists Natasha with compliance and some areas of HR. 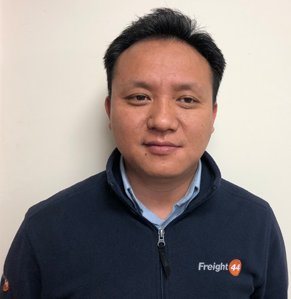 Santa has been with Freight 44 since 2014, he is bilingual, speaking both English and Nepalese. Santa has authority of the businesses accounts and contributes with a significant amount of detailed administration. This man of many hats can also jump into a Sales role if the business requires.